Be sure, that you are working in UTM. Working in lat / long might result in unpredictable results. First options to see area sizes and lengths were explained in Chapter 1.5, i.e. the procedure to measure. 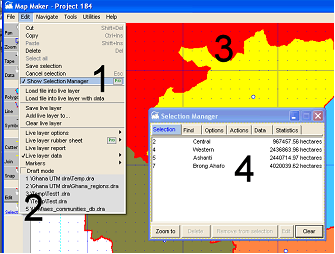 There are more options to retrieve area statistics. 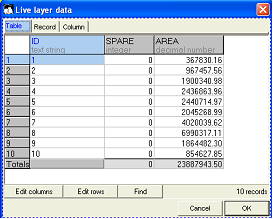 This table can be saved as a CSV file, which can then be loaded into Excel.